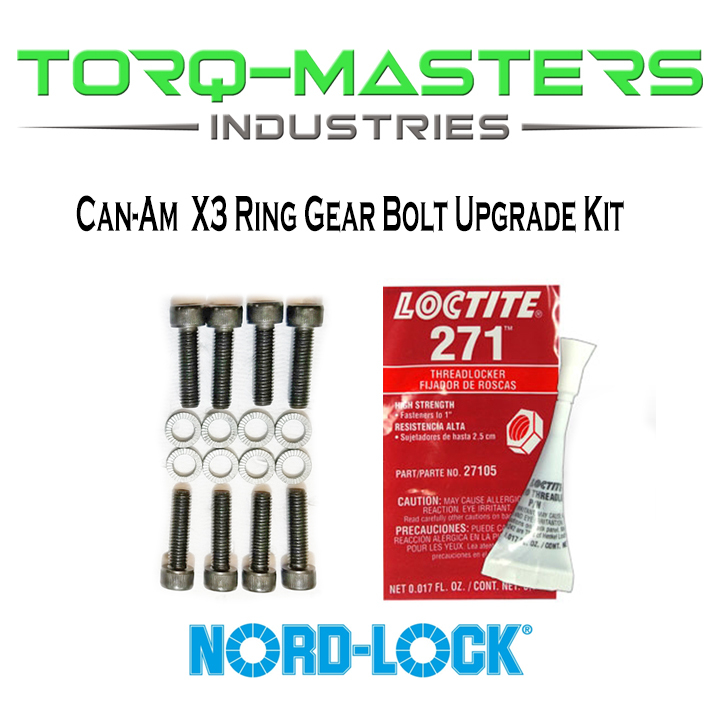 The AC-X3RGK Can-Am X3 front differential ring gear bolt upgrade kit by Torq-Masters Industries. replaces the stock Can-Am ring gear bolts with upgraded M8 bolts. Also included in the kit are specialty Nord-Lock locking washers and 271 High Strength Threadlocker. 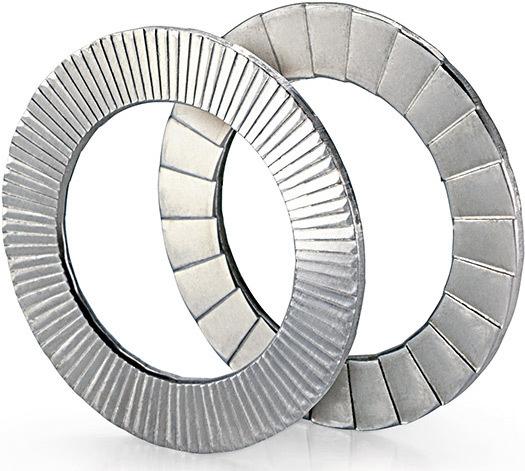 To put it simply, Nord-Lock washers take more ft-lbs of torque to release than they do to tighten. 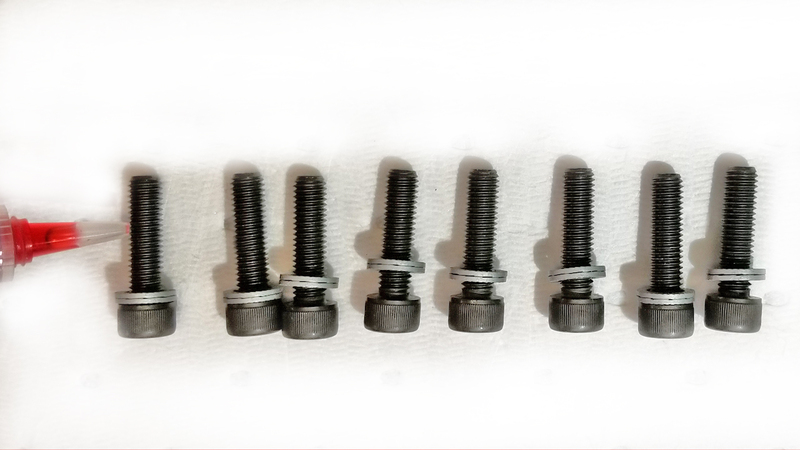 More about Upgraded M8 Ring Gear Bolts: This kit includes upgraded M8, ISO 4762 Hex Drive Class 12.9, Black Oxide Finish Alloy Steel Socket Cap bolts. Class 12.9 metric bolts are the highest class for strength which exceeds Grade 8. Socket Head Cap screws are ideal for precision work with close tolerances and applications needing a well tooled appearance. Socket Head Cap screws supply greater tensile strength than equivalent Hex Head Caps screws, while requiring less surface area to counterbore.